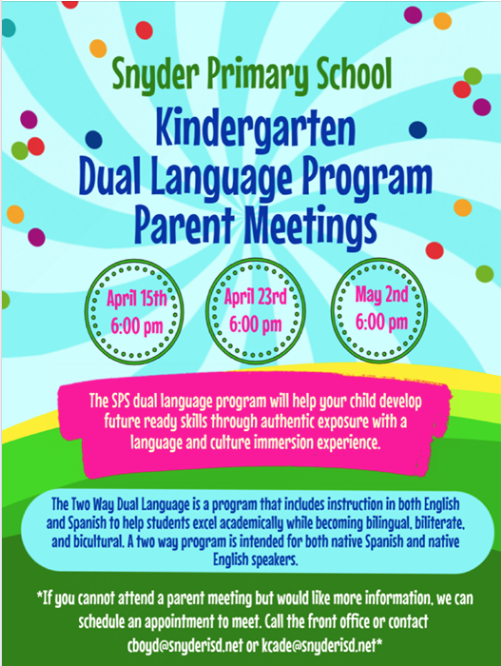 Parents: Are you interested in our dual language program for incoming Kindergarteners? Check out the information below for the details about our parent meetings. We will have all of the information about the program, student videos, and teachers present to answer any questions you will have.